Aapka Painter was established with the purpose of offering the best quality painting services in Bangalore at reasonable prices. We have worked hard and dedicated ourselves to our clients – a practice that continues at the moment, as we pride ourselves on providing the top quality work to our clients on a regular basis. Committed to creating striking, well-organized, and efficient environments with outstanding workmanship, Aapka Painter - Painting services in Bangalore is dedicated to 100% customer satisfaction. Our professional painters in Bangalore produce value for our clients by tailoring our services to their unique requirements. Every customer becomes part of our family, as we aim to grow and maintain the relationships. Just some of our works (Well, we don’t prefer boasting!) Prestige Tranquility, Brigade Lakefront, Ahad Euphoria, Prestige Ferns Residency, Brigade Cosmopolis, Brigade Millenium, Akme Ballet, Akme Encore, Candeur Rise, The Empyrean, HM Symphony, Shriram Samruddhi, Brigade Metropolis, Mantri Alpyne, Jain Heights, Bren Avalon, Shriram Spandhana, Purva Heights, Purva Riviera, Klassic Benchmark, Salarpuria Greenage, Provident Sunworth , Purva 270, AWHO Sandeep Vihar, Ajmera Infinity, Oceanus Freesia, NCC Maple Heights, Waterwoods, Chaithanya Samarpan, Casa Gopalan, Gopalan Residency, Sobha Iris, Sobha Mayflower, Mahaveer Maple, Godrej Ecity, Rohan Jharoka, Vaishnavi Commune, Signifa Springs, House of Hiranandani , Nitesh Forest Hills, SMR Vinay harmony, L&T South City Thanks to the extremely professional painters in Bangalore specialized for excellence; you won't be dissatisfied with the finished product at a price - within your means. Our painting services in Bangalore have just the right painting solution for your residential project. No matter what is your home type, our outstanding painting services in Bangalore are the perfect solution for your house's maintenance requirements. So don't let dirty walls and washed out surfaces degrade your home's worth. So just when you consider that hiring the certified painting services in Bangalore is “not in your budget,” well, think again! Aapka Painter painting services in Bangalore will work with you to keep your walls flawless and make your dream a reality! So, your search for professional painters in Bangalore ends right here! Doesn’t it? Our Bangalore customers love us! AapkaPainter is the best home painting service partner working in top metro cities of India. We have enthusiastic and professional painters in Bangalore who complete and deliver your projects on time always. 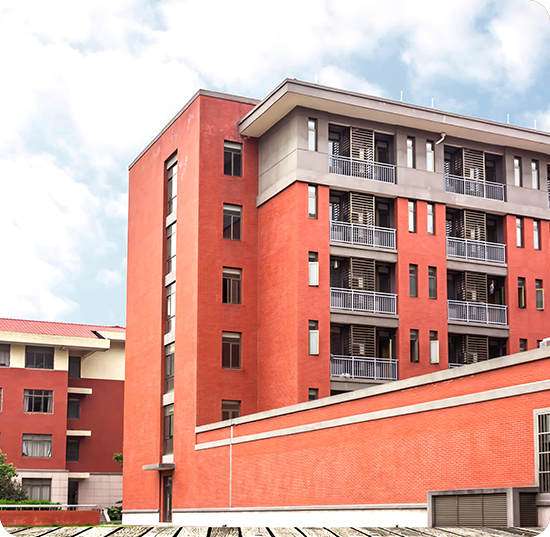 So we are top industrial painting contractors in Bangaluru, paint companies in Bangaluru, best exterior painting services company in Bangalore, best wall painting contractors in Bangaluru, waterproofing contractors in Bangaluru, and understand our responsibilities to finish the project with a high degree of accuracy. Our services include outside coloring of Indian house, interior home painting services, stencils, wall texture paint, Deep cleaning services, waterproofing solutions. Therefore you are at the right place to choose us as from professional painters in Bangalore and we ensure 100% customer satisfaction by following all standards phenomenon in the market. Do you want to design your house interiors, we play an expertise role in interior house paint design because our verified painters in Bangalore perform a quick, on time action to take a look of your interior house for inspection for better preparation of painting steps. Apply latest color combination trends for high profile look for your house design with us. Keep enjoying house paint design with us with your choice of colors and we convert it into real design scenarios with our best implementation practices for long-running experiences. Fantastically transform bare walls in the room with Wall Textures. Wall Texture Paint is the most sorts after, for a quick makeover. 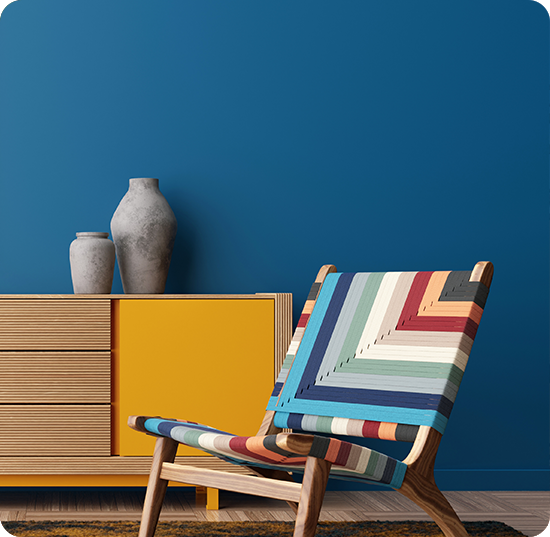 Whether you love the feel of those casual types of denim or want to experience African Safari, recreate all these textures and more with our texture wall paint services. We have a Professional team of painters in Bangalore who acquire complete knowledge in depth which they apply for your integral parts of the home- interior walls which protect you against various barriers like sunlight, fire etc. So come with us and enjoy your painted walls with the latest and trended phenomenon and tactics applied in today’s world. We are the best home painting service contractor in Bangalore with an efficient cost for a long era of time. Keep enjoying house paint design with us with your choice of colors and we convert it into real design scenarios with our best implementation practices for long-running experiences. Taken a liking for a particular design or stencils? Lovely, same can now be replicated on a wall, pixel-perfect! Our painters in Bangalore paint your living rooms with perfect wall stencils design and custom designs, matching every pixel to be it floral patterns or geometric shapes, a space theme or ethnic elements. 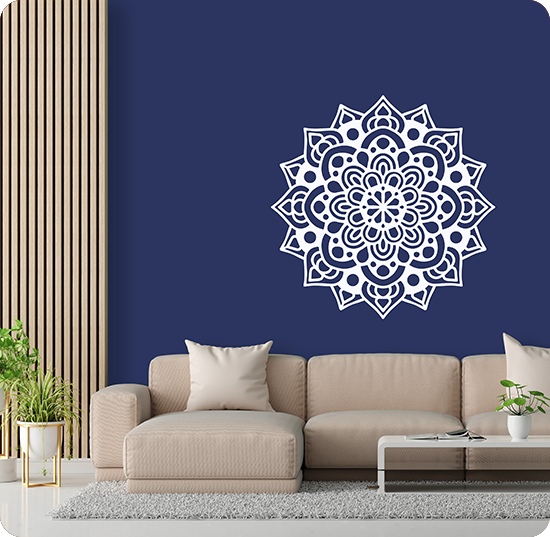 Apply some beautiful flower-show, nature-inspired, geometry, and devotional, and all other suitable match typed stencils themes for your room decoration. Convert your living room dream thought into a real design and get inspired today with AapkaPainter painting services in Bangalore! 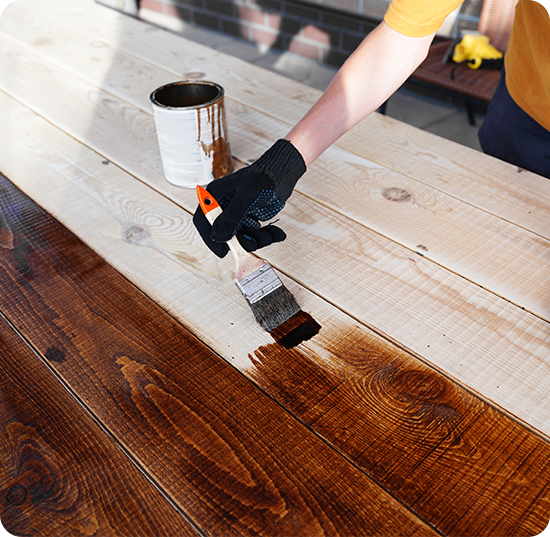 Our wood polish services are outstanding for painting white wood furniture. Right from picking the right wood polish and paint suitable for your all wooden piece of furniture, our team of expert wood painters in Bangalore do it all right, with utmost care against wood cracks and rots and give attention in detail. We are professional painters in Bangalore for almost a decade ago. Keep enjoying house paint design with us with your choice of colors and we convert it into real design scenarios with our best implementation practices for long-running experiences. 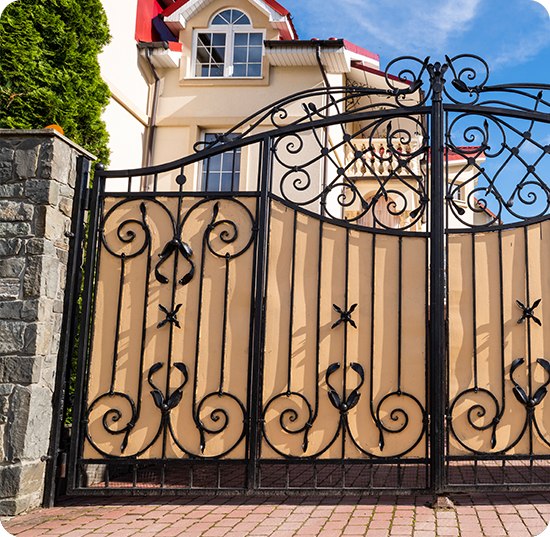 Protect steel grills, gates and roofing, by painting metals with a metal primer and metallic paint. Metals with suitable paints enhance its aesthetic appeal and protect underneath surface from rusting away. Rusted Layer is more permeable to oxygen and water, thereby causing the metal underneath to corrode further. So keep your steel, iron and other home materials protective against such damage that is formed upon exposure of the surface to air and moisture, i.e. to oxygen and water. Primers for metals are an important part of the paint system. Metal primers promote adhesion of paint as well as protects underneath metal from corrosion. We are the best industrial home painters in Bangalore for a long era of time ensuring the best paint pricing collections. Keep enjoying house paint design with us with your choice of colors and we convert it into real design scenarios with our best implementation practices for long-running experiences. Paint building exteriors or outside walls of your house and give your homes an amazing facelift, to your neighbor’s envy. No matter what size or high is your building, our professional painters in Bangalore will reach out to every wall and its corner. Among several Industrial painters in Bangalore, Aapkapainter’s team endeavors to reach your house new heights with fabulous colors and design. You have already tried many house artwork services, however not even getting long life paints at your walls. So Aapkapainter gives you more adaptability, flexibility for maintaining your entire housekeeping it away from pills, blistering, leaching, and wrinkling for better protection.